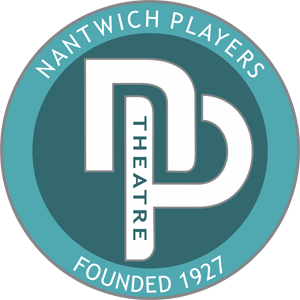 Nantwich Players was founded in 1927 as Nantwich Play-Reading Circle and is now a thriving amateur theatre group with registered charity status. Our main activities are producing seven plays a year (one always staged by our Youth Theatre) and holding regular Tuesday social events. Each season we hold play-readings and workshops, go on trips to see professional productions in the area and contribute to events in the town as well as many other exciting events to meet and socialize with other like-minded folk. Each play has a different director, and every play involves new members in one role or another. If you can, or would like to, act, paint, sew, design, serve behind the bar or many other activities that take place off-stage, join us. This is a hobby which can take as much or as little of your time. Why not give it a try? Our theatre seats 82 people all with a good view of the stage and spaces are available for wheelchair users. Six plays and a Youth Theatre production each year as well as Studio production and other external hires means that the building is in almost constant use. Rehearsals are held on Mondays and Thursdays for the main productions, while the Youth Theatre rehearse and hold workshops during their Friday meetings. Occasionally we are able to hire the building for other activities please contact us for details. Social events take place on Tuesdays. Regular email updates are sent out to Members and subscribers to the e-list. The Youth Theatre has its own programme of events including theatre workshops and the opportunity to take part in the senior productions. If you or your group are interested, please contact us and we will be in touch with more details. Nantwich Players was founded as the Nantwich Play-Reading Circle in 1927. Our first stage production was performed in March 1931 at the Nantwich and Acton Grammer School. Other productions were staged at the now demolished Town Hall located near Welsh Row bridge, and at the Civic Hall. In 1980, the near derelict Quaker Meeting House, originally built in 1724, was purchased by Nantwich Players and converted into an 82-seater theatre. We have since purchased the building next door which gave us the opportunity to re-work the inside to become the Nantwich Players theatre that you can enjoy today. For much more information on the history of theatre in the town, the Quaker Chapel and Nantwich Players, please see both the photo display and the folder entitled ‘Nantwich Players - Past, Present and Future’ in the foyer.